dining table made with glued 8 mm thick tempered glass plates, cut with water jet and with 45 diameter chamfered edge. available in extra-light transparent glass, satin, glass lacquered or opaque satin glass (no silver acid-etched glass nr.71 available). 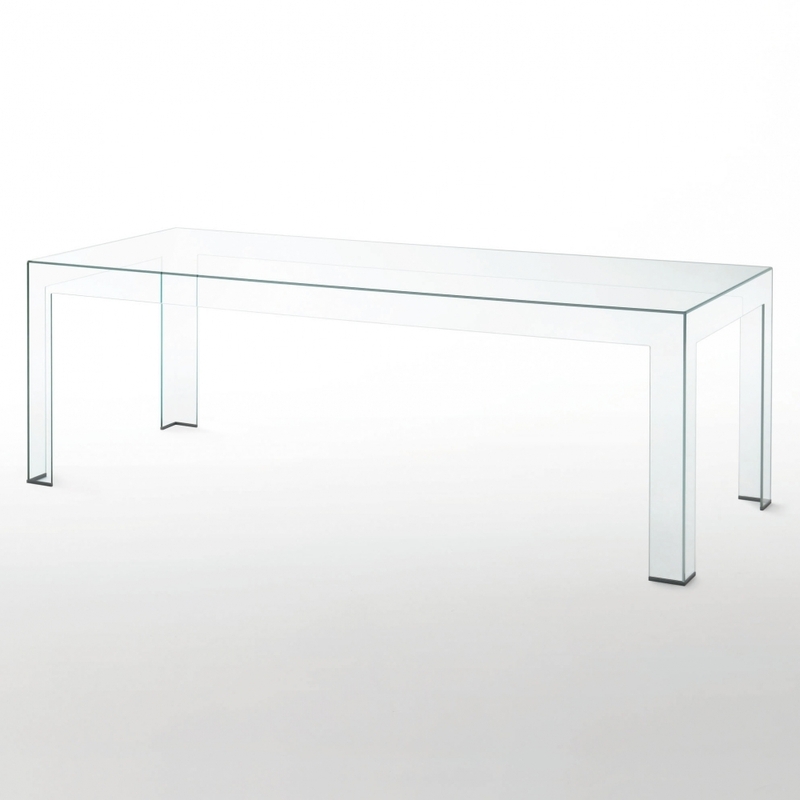 the formal purity, the sobriety and the sophisticated craftsmanship are the main features of this table.